Dr. Hongshun YANG joined the Food Science and Technology Programme, Department of Chemistry at the National University of Singapore (NUS), Singapore in June 2013 as an Assistant Professor, and he is also an investigator at National University of Singapore Suzhou Institute, China. He obtained his Ph.D. in Refrigeration and Cryogenics Engineering from Shanghai Jiao Tong University, China in 2005 and worked as a Research Fellow at Auburn University, USA from 2006 to 2008. 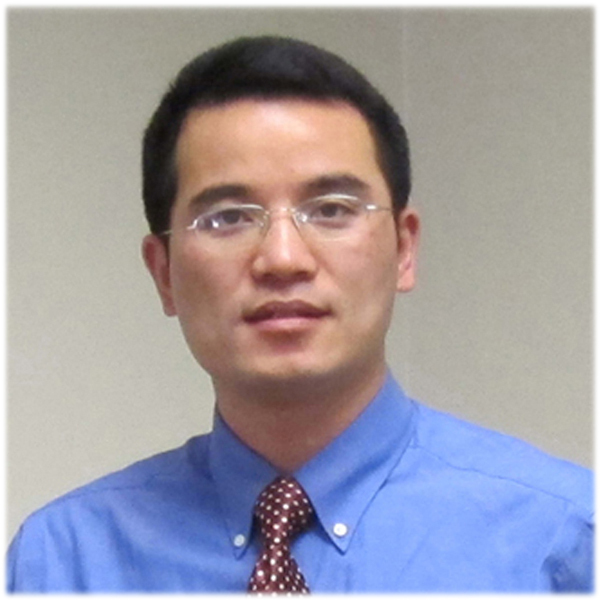 Dr. Yang obtained another Ph.D. in Food Science from University of Minnesota, USA in 2012. And he was a faculty research assistant at University of Maryland, USA before joining NUS. 5) food nanotechnology, food and health, and food security, especially in fruits and vegetables, seafood, grain and soybean based food products. 1) Guo Z, Chen F, Yang H, Liu K, Zhang L. 2014. Kinetics of peanut protein backward extraction in composite reverse micelle. International Journal of Food Properties, in press. 2) Du X, An H, Liu Z, Yang H, Wei L. 2014. Probing starch-iodine interaction by atomic force microscopy. Scanning, 9999, 1-7. DOI: 10.1002/sca.21131. 3) Li P, Yang H., Zhu Y, Dai R, Ren X, Yang H, Ma L. 2014. Influence of washing and cold storage on lipid and protein oxidation in catfish (Clarias lazera) surimi. Journal of Aquatic Food Product Technology, in press. 5) Yang H, Hewes D, Salaheen S, Federman C, Biswas D. 2014. Effects of blackberry juice on growth inhibition of foodborne pathogens and growth promotion of Lactobacillus. Food Control, 37(1): 15-20. 6) Deng Y, Luo Y, Wang Y, Yue J, Liu Z, Zhong Y, Zhao Y, Yang H. 2014. Drying-induced protein and microstructure damages of squid fillets affected moisture distribution and rehydration ability during rehydration. Journal of Food Engineering, 123(1): 23-31. 7) Bu G, Yang Y, Chen F, Liao Z, Gao Y, Yang H, Li R, Liu K, Zhao J. 2014. Extraction and physicochemical properties of soybean protein and oil by a new reverse micelle system compared with other extraction methods. International Journal of Food Science and Technology, 49(4): 1079-1089. 8) Chen Y, Chen F, Lai S, Yang H*, Liu H, Liu K, Bu G, Deng Y. 2013. In-vitro study of the interaction between pectinase and chelate-soluble pectin in postharvest apricot fruits. European Food Research and Technology, 237(6):987-993. 9)Yang B, Yang H, Chen F, Hua Y, Jiang Y. 2013. Phytochemical analyses of Ziziphus jujuba Mill. var. spinosa seed by ultrahigh performance liquid chromatography-tandem mass spectrometry and gas chromatography-mass spectrometry. Analyst, 138(22), 6881-6888. 10) Yang H, Feirtag JM, Diez-Gonzalez F. 2013. Sanitizing effectiveness of commercial “active water” technologies on Escherichia coli O157:H7, Salmonella enterica and Listeria monocytogenes. Food Control, 33(1): 232-238. 11) Lai S, Chen F, Zhang L, Yang H*, Deng Y, Yang B. 2013. Nanostructural difference of water-soluble pectin and chelate-soluble pectin among ripening stages and cultivars of Chinese cherry. Natural Product Research, 27(4-5): 379-385. 12) Liu H, Jiao Z*, Liu J, Zhang C, Zheng X, Lai S, Chen F, Yang H*. 2013. Optimization of supercritical fluid extraction of phenolics from date seeds and characterization of its antioxidant activity. Food Analytical Methods, 6(3):781-788.